If you're looking to find the perfect gift in Norwich, then stop by one of our gift stores and our friendly staff will be happy to help you find the perfect piece. 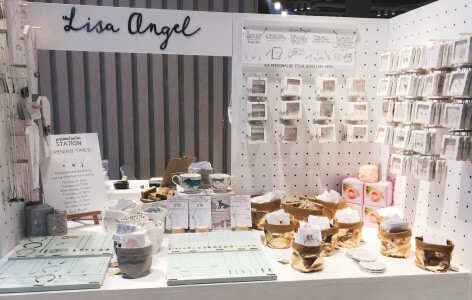 Lisa Angel currently has two gift shops in Norwich, see below for details. Looking for something special, something unique? We offer while you wait hand-stamped personalisations in-store. We offer a free click and collect service to our Lower Goat Lane store. If you live in or around Norwich, simply choose the 'store pick up - Lower Goat Lane' delivery option when you place your order. You will be informed when your order is available for collection. Then, pop in and say hi when you're ready to collect. It's as simple as that! The newest addition to the Lisa Angel lineup. Our gorgeous Chapelfield store is home to our largest selection of products, and can be found opposite Krispy Kreme. We offer a free click and collect service to our Chapelfield store. If you live in or around Norwich, simply choose the 'store pick up - Chapelfield' delivery option when you place your order. You will be informed when your order is available for collection. Then, pop in and say hi when you're ready to collect. It's as simple as that! As well as our own stores we also sell a fab selection of products at our Topshop concessions and we also personalised in-store in Topshop stores across the UK. Check out where we are below. Our very first Topshop concession in our hometown of Norwich. 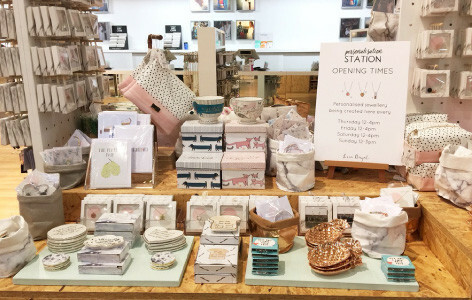 Here you'll find a fab selection of jewellery, accessories and homeware, as well as personalised gifts at selected times. Our concession can also be found at Topshop's flagship store on Oxford Street. 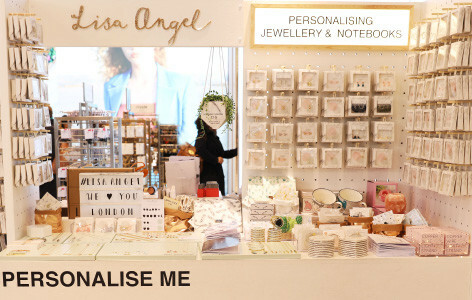 With personalisations available all day in this fantastic store, it's the perfect place to pick up a unique personalised gift. 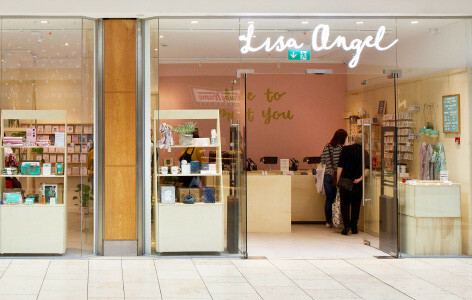 If you're looking for a Lisa Angel fix in Manchester, you can find our concession inside the Trafford Centre Topshop. 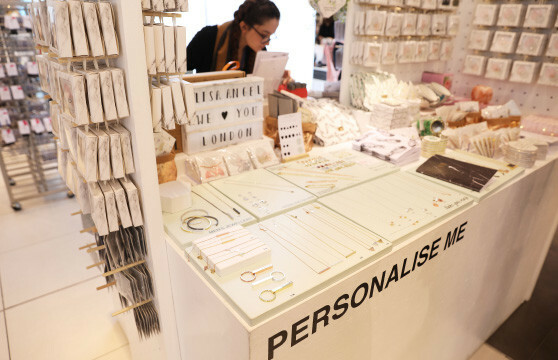 Pop in for gorgeous jewellery and gifts, as well as personalisations while you wait.